Patience pays off, is what I've learned this month. I’ve been wanting a dressing gown for months. I had my fingers crossed someone might gift me one for Christmas but no luck. Then my A Year Of Shopping Second-Hand Challenge arrived and I discovered just how difficult some items are to find second-hand. I wasn't comfortable with buying a pre-loved gown so I had pretty much struck this want from my list, expecting to have to wait until my birthday to request a new one. Eventually, my patience paid off. A few months later and a spontaneous quick search on eBay, I found a brand new Cotton Vale Classic Cotton Bathrobe with the tags still attached; it even came in its original packaging. This second-hand purchase saved me £36.50! Three items I thrifted this month required a little work to make them just right. The Zara Basics Linen Top was missing a button so I sewed a new one on, I’m going to paint the red feet of the magazine rack to make them white, and I had to remove some pilling from the vintage jumpers. The wide leg trousers are a little trickier. They fit exactly how I want them to in the leg yet are far too big on the waist. The drawstring makes it possible to get away with wearing them as they are, although I'd like to figure out how to take them in a touch. With my severely limited sewing skills, we’ll see how realistic this is. I’m planning a couple of other simple DIY projects, including dying clothes, so I’ll wrap it all up in a blog post soon. A great find that I didn't buy (but would have if I didn't already own one), was a vintage Gillette safety razor. My partner, Jack, found it for the reasonable price of £15 and it even came in its original box. 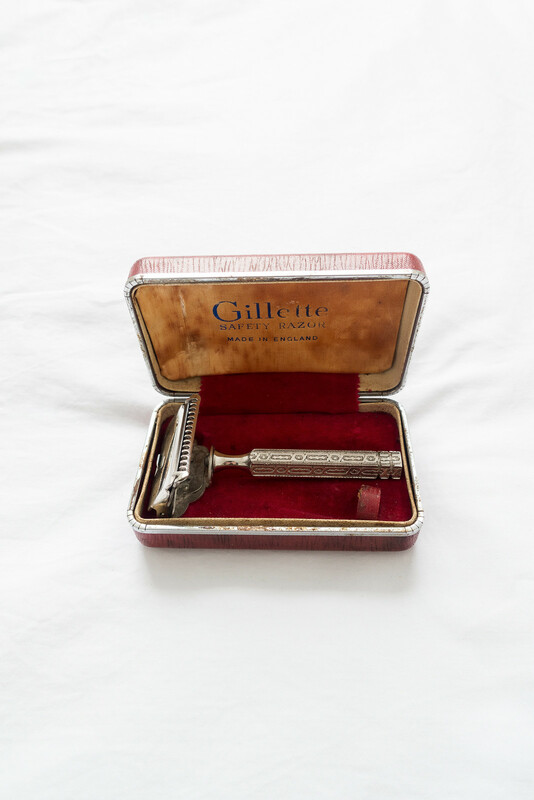 We sterilised the razor and cleaned the case making it as good as new. Safety razors are low waste and save a lot of money so I've been eagerly nudging Jack towards making the switch with me. If you're curious, I wrote this guide to zero waste shaving. 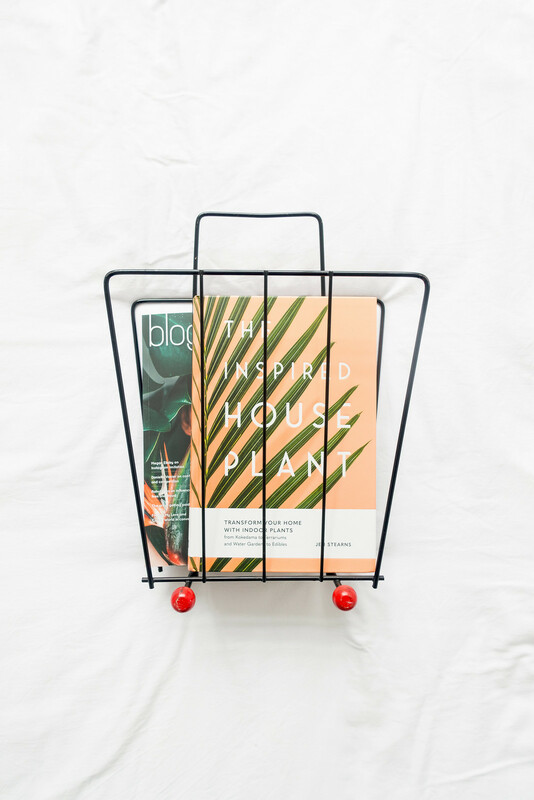 I’m still on the hunt for the perfect sage green shirt, a white camisole, gardening tools, and the LEON Fast Vegan cookbook; I loved it so much after borrowing it from the library that I want a copy at home! However, I put a halt to my searches as I took part in a spending ban but more on that next month. Follow my #AYearOfSecondHand on Instagram.